Standing at no more than 5 ft. 3 in. tall, Sunita is an amiable force to be reckoned with. Kindness exudes from every part of her small frame. Everywhere she walks in her small community of Badapur in southern New Delhi, Sunita smiles and waves to her neighbors—most of whom call to her, smile and wave back. Sunita’s life was not always like this, however. She wasn’t always able to care for those around her. Sunita was married when she was only fourteen years old. She became pregnant with her first child three years later, but tragically lost her baby shortly after his birth. Depressed and isolated, Sunita says she felt numb after the baby’s death. She was expected to continue having children, but not expected to do anything on her own or make any of her own decisions. Not long after the loss of her son, Sunita gave birth to her daughter, Vandana, and for the first time began thinking about her future. 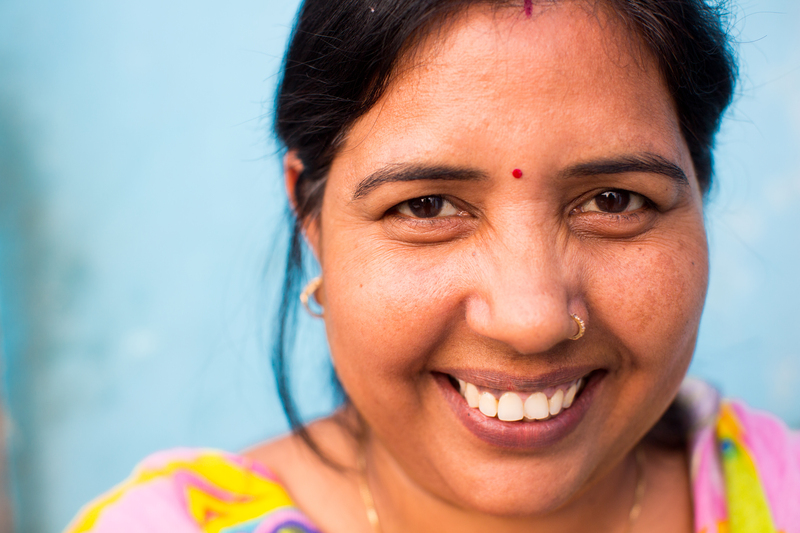 Out of a desire to make sure her daughter was provided for, Sunita began working for one of Noonday Collection’s Artisan Partner Businesses as a jewelry-maker, where she was able to earn a fair wage and take advantage of the business’ training and education programs. “You can’t imagine how happy I was. It was the first time I managed to do something on my own,” she says. 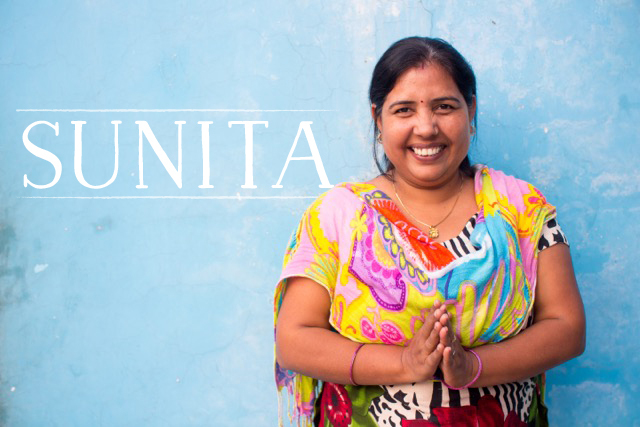 Once Sunita began working and earning an income, everything changed. Her confidence grew as she learned more about what it meant to stand up for herself. She was finally able to provide for her two children as well as her in-laws and husband. 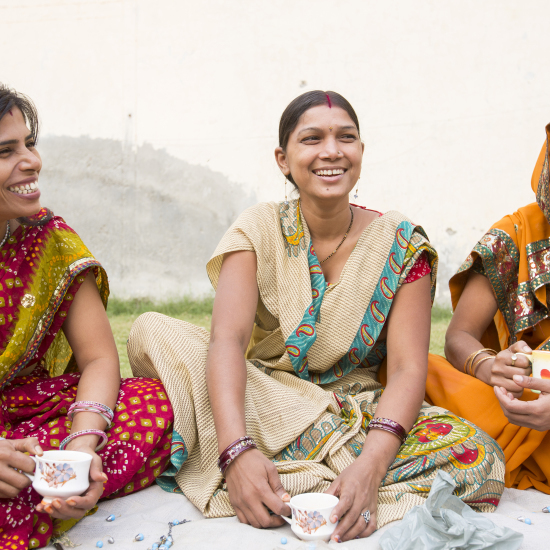 Through Noonday Collection’s Artisan Partner Business, Sunita also learned about the difference that health, education and Fair Trade programs could make in her community. Suddenly, Sunita saw the change that had happened in her own life as something bigger than herself, something that could change the lives of those around her. 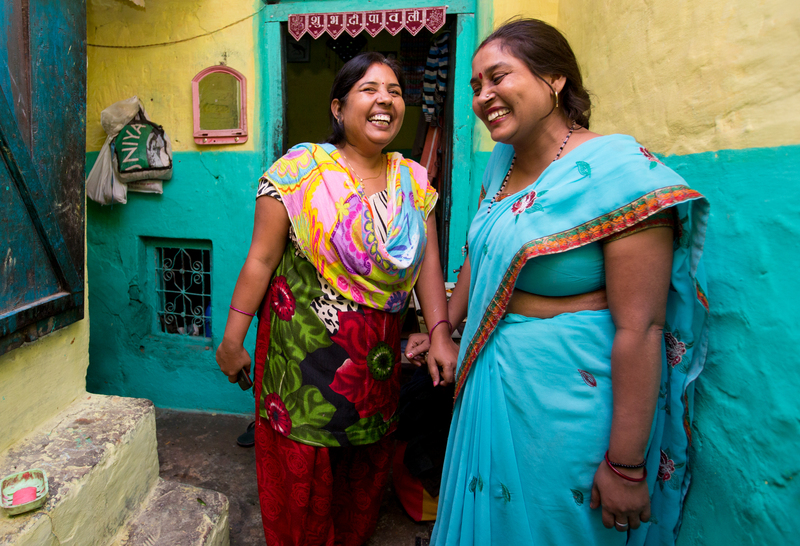 As Sunita began recruiting other women to join her in a jewelry-making co-op, however, she ran into trouble. To prevent them from leaving their homes, Sunita says the men were beating up their wives and personally threatening her. In 2012, India was named one of the worst countries in the world for women, in part because domestic violence there is often seen as deserved. According to a UNICEF study from the same year, 57 percent of Indian boys and 53 percent of girls between the ages of 15 and 19 think wife-beating is justified. Sunita was not just fighting to get women to work, she was fighting against domestic violence—the cultural norm keeping women from working. Sunita’s persistence paid off. As more and more women began to join her as artisans, their husbands realized the benefits of their wives earning money–and the dynamics in their relationships began to change. Sunita has not stopped at assisting the women in her community find work. She is also involved in other life-changing initiatives run by Noonday’s Artisan Partner Business, including working with their impactful healthcare initiative. 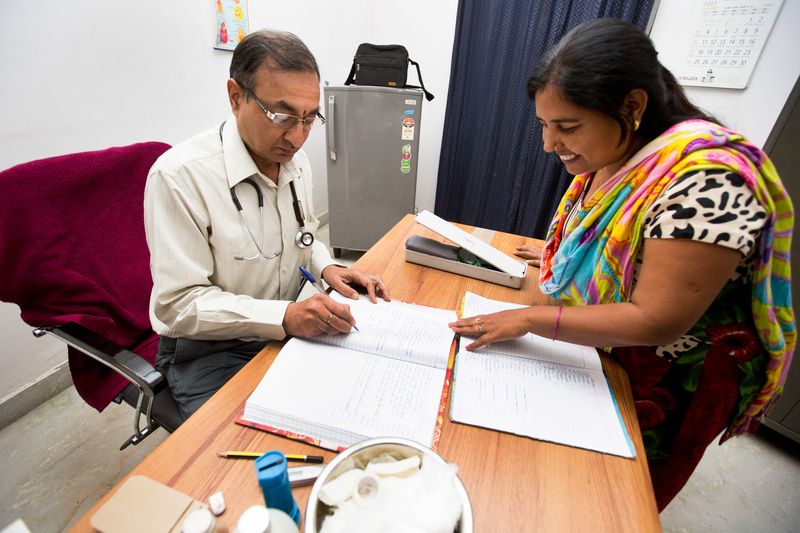 Noonday’s Artisan Business Partner operates two health clinics that provide a wide range of support, including inexpensive medical care & low cost medications, recommendations to trusted hospitals, full family health care, and financial assistance for more extensive medical services when needed. Why are these health clinics so important? Sadly, government-run hospitals often take advantage of the poorly educated by overcharging and underserving them. As a result, people from lower castes are often afraid to seek treatment. The Artisan Business Sunita works with understands their fears, and engages six community outreach representatives to encourage people to seek healthcare at the clinics. Sunita is one of these special representatives. As a result of this outreach, the health clinics currently serve 2,200 people from 600 families! More than 40,000 treatments have been provided since the clinics started in 2011. And all of this would not be possible without the dedicated work of Sunita and her fellow community representatives. Based on the success of these health clinics, Noonday’s Artisan Business Partner also developed a self-defense classes to equip young women with the physical skills to protect themselves in dangerous or threatening situations. India is witnessing an increase in crimes against the women, including assaults and rapes. But Noonday’s Artisan Business Partner is committed to changing this harsh and unjust reality. Organized by a female lawyer, these self-defense classes have done wonders at building the confidence of young women in the community. Encouraging young women to attend these classes is a priority for Noonday’s Artisan Business Partner. 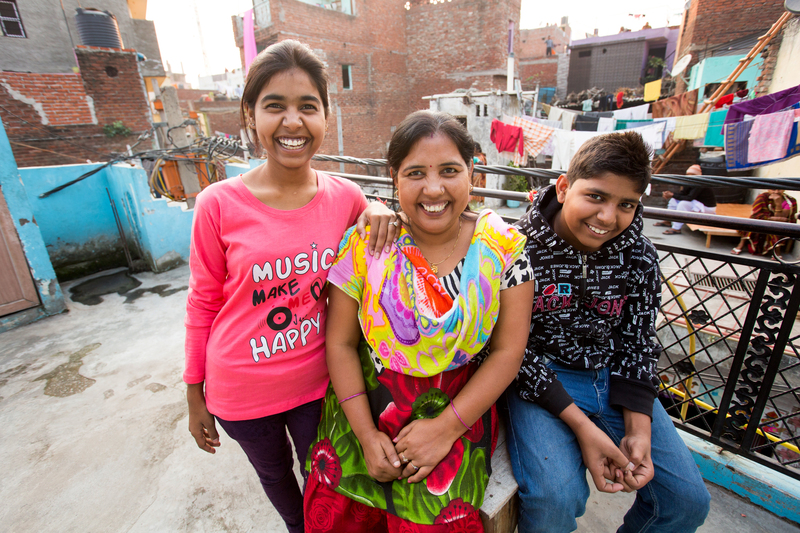 Sunita’s daughter, Vandana, was one of the girls who enrolled in these empowering classes. Inspired by her mother’s vision and activism in her community, Vandana has grown into an incredible advocate for others in her community. In fact, she was named the first “teen health representative”! She encourages other young women and youth to attend the self-defense classes and raises awareness about the importance of good health and education. Although she has accomplished so much already, Sunita says she will continue to work to change others’ lives for the better. She is thankful for the meaning that her work has given her life and wants to make sure others receive the same opportunities. 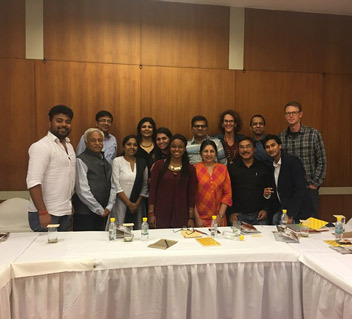 Celebrating Our First Artisan Summit in India!